If Our Dogs Were Roald Dahl Characters…Who Would They Be? Today is Roald Dahl Day and marks what would have been the 100th birthday of one of the world's most treasured writers. My favourite of his stories was 'The Twits', I can still picture the cover now. His books weren't just for children, they had a much wider appeal. His stories are timeless and although I did read most of my Roald Dahl books as a child, it's thanks to him and the books I read as a child which inspired me to read more. As much as I love digital, the feeling I get holding a new (or old) book in my hands has never left me. As a dog owner himself, pictured below with two of his dogs, often taking inspiration from those around him, I sometimes wonder if his dogs took on different characters in his books and so to commemorate Roald Dahl Day I decided to work back through some of my favourite and most notable characters and compare to my own dogs. Mia would be The Grand High Witch from 'The Witches'. Danny would be The BFG from 'The BFG'. Christopher would be Danny from 'Danny, the Champion of the World'. It goes without saying that I love Mia with all of my heart but as her owner, I see all sides of her and it amuses me to see how much she's changed. Not only has she evolved into the 'grumpy dog' stage of her life at 10 1/2 years old, but she's relished it with two boy dogs to boss around. She's become the head of their family and she has standards she expects to be fulfilled. She's demanding. She whines if her breakfast is still being made and she thinks she should have eaten it already. If she's sitting in front of her pet treat cam or treat cupboard, she's expecting you to make with the treats already. She isn't shy in letting you know what she wants. She likes the boys to know she's in charge and she enjoys telling them off if she feels she has to (seriously, she never had a cross word with Chloe in 8 years, she adored her, but the boys - well, let's just say she likes them to know she's in charge). Aside from the obvious height factor, Danny shares many other traits with the BFG. He's kind and well meaning and will look out for (or with) anyone of any size. Once he's your friend, he's your friend. His height and build mean he's incredibly fast. He would do you no harm (although if you dance in front of him, he'll sweep the leg Karate Kid style) but his height creates a certain perception of him which isn't mirrored in his gentle personality. As the youngest of the gang and not quite two years old, Christopher is in a field all of his own when it comes to gigantic personalities. Above all, he loves to play, have fun and get up to mischief. He loves his family and those closest to him and is a big fan of exploring outdoors. He has even developed his own trick of carrying multiple toys at once. Whether this was or wasn't to stop any other dog taking a toy he may want at a later stage is irrelevant (it was, btw). So, which character would your dog be? 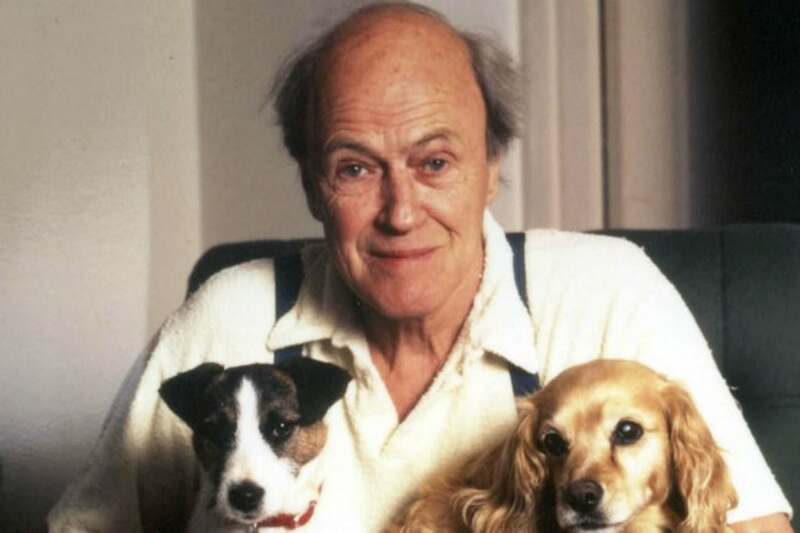 Match your dog with a Roald Dahl character using the interactive quiz here for inspiration: http://www.roalddahl.com/create-and-learn/join-in/interactive-quizzes and get re-acquainted with Roald Dahl's books here.